Club Penguin Cheats by Mimo777 Club Penguin Cheats by Mimo777: Introducing "CRAZY WHEEL!" 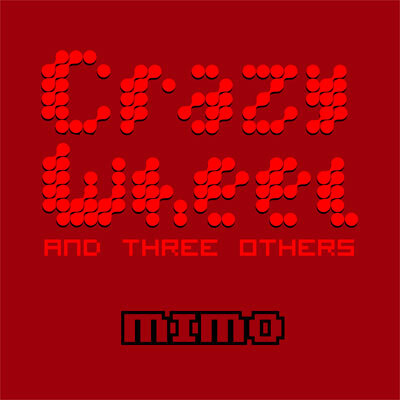 FINALLY after about 2 years I, Mimo have released a new mini music album of totally original music! It's by far my best music! Please check it out and tell me what you think! WATCH FOR THE MUSIC VIDEO CONTEST SOON! If you do, tweet me and I will follow you! This was ANOTHER post that has just posted when I came back to your website! LOL Amazing! Awesome! That is totally cool! I'm gonna get that on itunes! I know its really awesome 5/5 I recommend it for definite for all of you Mimo777 rocks! This certainly is awesome! It's nice to see another new album from mimo! Mimo Will be very happy if you do get it thanks for commenting, and visit the site tommorow im listening to it right now on my ipod touch! I'm going to get it too! It's so epic! Quick! The only cure known to the world is reading Mimo's blog! Hurry! You have to time to waste! WARNING: Side affects may include extreme awesomeness, dancing randomly, and a desire to sing a bunch of random songs. Does anyone think mimo plays binweevils? Ive never seen him on there!! I think its ledgend! So that was your top secret project! Awesome music, Mimo, although I'm not a fan of... rap? or is that hip hop? idk. I like all of them though. Is that your voice though? In Crazy Wheel? Awsome! Im totally getting it, everyone is talking about it! And besides everything Mimo creates is awsome! Excited for the Music Video Contest! I would like to invite you to my cps(club penguin shill) party mode at the night club! Saweet! Also, please don't put (CPG Mod) next to your name if you aren't modding! Thanks! DMA0712 (CPG Mod)<--- See? I modded you. Hmmm, how bout Mania Adventures? I might try that for a while. What do you peeps think? This was ANOTHER post that has just been posted when I came back to your website! LOL Amazing! Hmmm, did you look everywhere? It's pretty cool but i'm not into that kinda music :D Crank some Nirvana, Nickelback, Greenday And Linkin Park! Oh, you like rock music eh? I love Green Day too! Hmmm, I feel like playing some Civiballs. It's an awesome game! have you got a hamster? Sweet! Can't listen to it, but I bet it's great! Go Carl the hamster! Lol. There should be mimo medicine (but it isnt relally medicine) and its a candy and it makes u really hyper and the side effects of awesomeness and hyperness are guaranteed! That would be awesome! Hope you guys are enjoying the songs! I'm very excited for the contest also!! It certainly is great! I can't stop listening to it! Technically you aren't supposed to say CPG mod when you're not modding, but whatever! Mimo posts fast. I check this blog, then ten minutes I come back, and there's a new post! What an awesome mix of sounds! I will buy this on iTunes when I get more credit! Go Mimo! When I go to buy the pipe-organ piano, it always says "Not enough coins", and I had 2000 coins at the time! Help? Greetings from Mexico, Anonymous! Yes, Mimo has a hamster and his name is Carl!